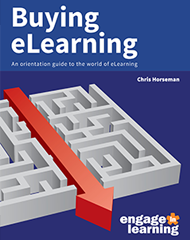 If you are considering implementing eLearning in your organisation for the first time, this guide will orient you to "what's what" in eLearning and help you select an appropriate solution. Decide what kind of solution you require - Do you need your own Learning Management System? Ready-to-use courses? Custom or customised courses, an authoring system? Know how to select an LMS - Would a free, open source or proprietary LMS be suitable? What features do I need? Use our scored criteria to help you select the best courses for your staff - Will it engage staff? Will it work? Will it save time or cost time? We know that companies need eLearning solutions that are specific to their need, training budget and learning culture, which is why we work in partnership with our customers to ensure the right solution is provided. We also use our flexible licensing model to ensure learning is cost effective. Once you’ve downloaded and read our free eBook, you will be in the best position to identify and tell us what type of solution your organisation requires and which courses best suit your staffing needs and the needs of the business as well as knowing how all this can be managed with the right Learning Management System for you.